When it comes to makeup removal, there’s nothing more efficient than a cleansing oil. Sure, you can put some hard work in with a gel or a milk cleanser, but nothing quite compares to the immediate dissolving action of an oil – watching the day melt away is the pinnacle of instant gratification! The reason cleansing oils work so incredibly well boils down to one simple fact: oil dissolves oil. So while your waterproof mascara or brow product will resist water all day, and may not shift even when you apply your milk cleanser, an oil will immediately remove the product. The same goes for those tricky-to-remove UV filters in your skincare and makeup products. Simply apply the oil to the skin, massage it in to encourage the product to break down, and then rinse away thoroughly. It really couldn’t be easier. Despite it seeming like an indulgent cleansing step, oils are a dream product for those prone to a touch of laziness. The new generation of oil cleansers on the market at the moment are a real feat; they have all of the cleansing prowess that you’d expect from an oil, but – most importantly for oil-phobes – they’re hyper-conscious about the weight of the formula and the feel of the skin after use. With their sublime textures and the feeling of utter freshness, once they’ve been rinsed away, you can expect these ultra-lightweight cleansers to pack a punch in the makeup removal department. Are you ready to supercharge your cleansing regime? The newest cleansing oil to hit Escentual is this delicious offering from Nuxe, a formula infused with micellar technology. If I lost you at micellar technology, this refers to the way the oil captures impurities as you massage it in, which are then carried away when you emulsify the oil with water to remove it. A blend of 87.2% natural origin ingredients, the Nuxe Micellar Cleansing Oil will remove every last impurity from the skin, including waterproof makeup, UV filters and pollution particles. But that’s far from it, the luxurious cleansing oil will also support the skin by neutralising the drying effects of hard water. 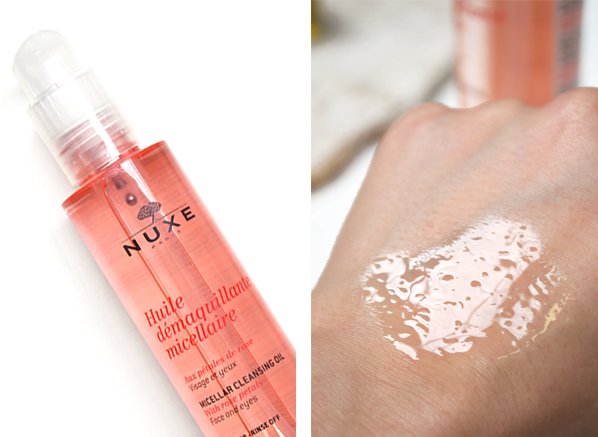 A complete all-rounder, the Nuxe Micellar Cleansing Oil works as good as it feels! • Caprylic Capric Triglycerides and Coco-Caprylate are esters from plants. The natural emollients contain solubilising agents that help to remove waterproof makeup and pollution particles. • Safflower Seed Oil and Rose help to preserve the natural balance of your skin as impurities are lifted. If you’re looking for a cleansing oil with a lot of hype around it, this is it! 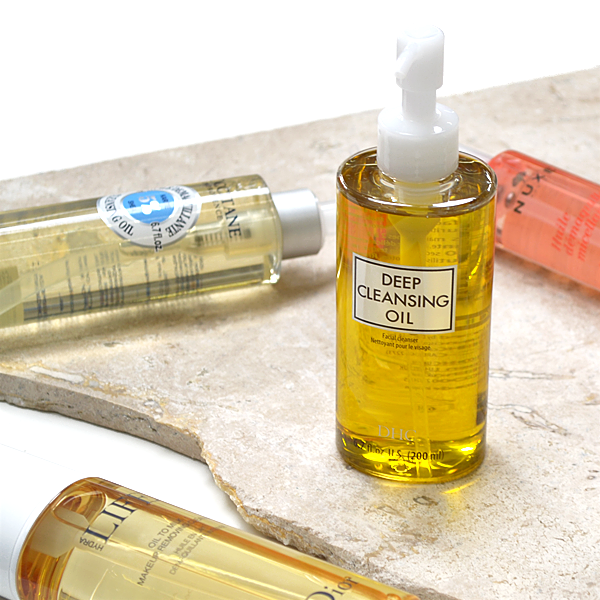 The DHC Deep Cleansing Oil is an award-winning cleansing oil loved by makeup artists and beauty editors worldwide. But what makes it so great? Well, the lavish oil can be used by all skin types and presents the best of both worlds: a heavy duty makeup removal oil with the emulsive properties of a traditional cleanser. Best of all the rich formula doesn’t leave a film behind, allowing you to melt away every last trace of makeup with a refreshed and smooth skin finish. • Rosemary Leaf Oil and Olive Oil are ultra hydrating and help keep skin plump and nourished. • Vitamin E is rich in antioxidants, which help to rid skin of free radicals that build-up on the skin during the day. 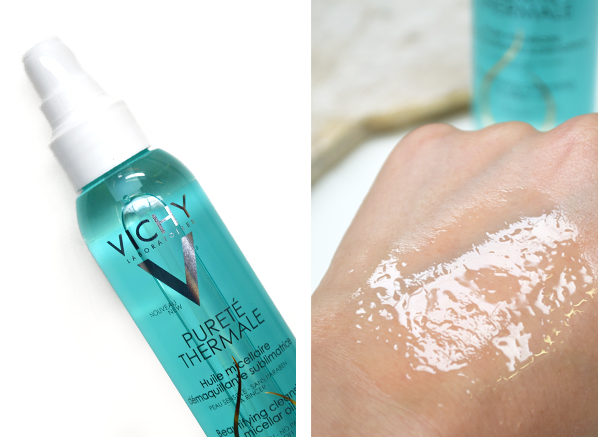 The perfect pick for a city-dweller, the Vichy Purete Thermale Beautifying Cleansing Micellar Oil will not only melt away makeup, but any free radicals that may be clinging on after your city commute. The supercharged cleansing oil harnesses the power of micellar technology to trap and lift dirt, which can then be swept away with water. A pleasure to use, this French Pharmacy must-have transforms from and oil into a skin-softening milk upon contact with water, which leaves the complexion completely makeup free, fresh and radiant. • Micelles are the technology that lift dirt away from the skin like a magnet, to leave the complexion squeaky clean. • Camelia Oil moisturises and smoothes the skin, leaving the complexion soft and hydrated after every use. • Vitamin E provides skin with antioxidant protection against free radicals. Love something little luxe in your cleansing regime? 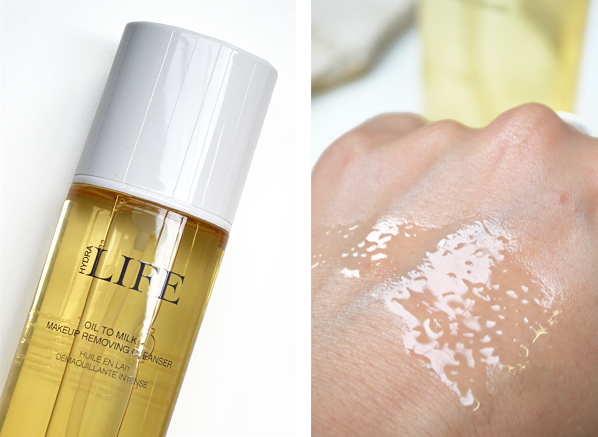 Stop your search at the DIOR Hydra Life Oil To Milk. A part of Dior’s innovative Hydra Life Skincare collection, the Oil To Milk is where simplicity meets luxury. Designed to remove makeup quickly and efficiently, the indulgent cleanser transforms into a rich and creamy emulsion upon contact with water, breaking down even waterproof makeup. Another reason to shout about the DIOR Hydra Life Oil To Milk is its environmentally responsible packaging – you won’t see any unnecessary materials here! The Hydra Life Oil To Milk is the choice for someone that wants to invest in their skincare, with products that offer both results and sensorial experiences. • Sweet Almond Oil works to soften the skin, for a silky-smooth skin finish. • Saponins are natural agents that help rid the skin of impurities. 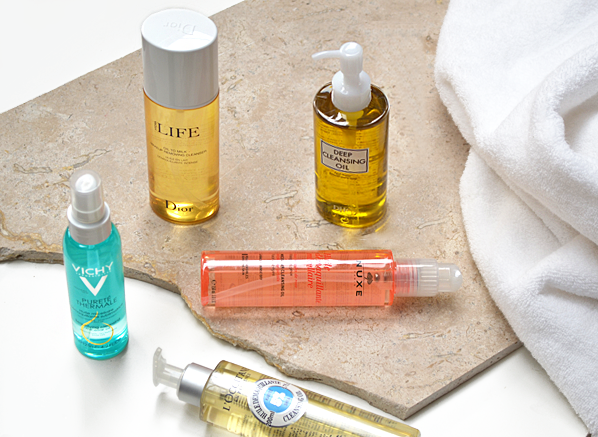 Is comfort at the top of your cleansing oil wishlist? With an infusion of 5% shea oil, the L’Occitane Shea Butter Cleansing Oil makes removing your makeup a relaxing and enjoyable experience. Designed to preserve your skin’s natural hydration, the pampering facial cleanser will not pull or irritate your complexion, instead, it will feel silky-soft and completely cleansed. 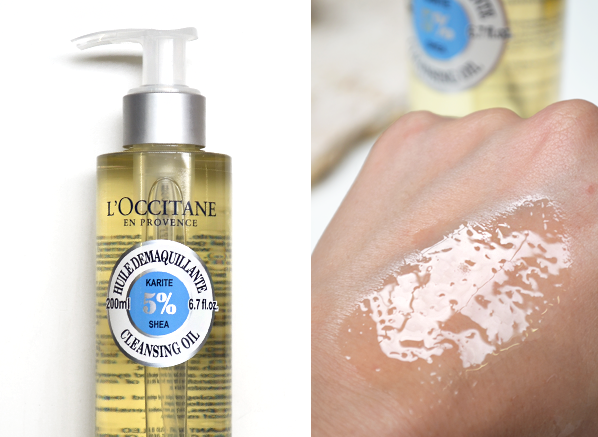 The L’Occitane Shea Butter Cleansing Oil is the one for you if you’re keen to make your cleansing routine as pampering as it is quick, not forgetting that divine scent! • Shea Oil will ensure skin remains optimally hydrated and nourished. • Sunflower Seed Oil has great anti-inflammatory benefits, which help to keep skin calm and soothed. This entry was posted on Thursday, June 1st, 2017 at 10:44 am and is filed under New products, Skincare, Skincare Edit, Spotlight On, Tried & Tested. You can follow any responses to this entry through the RSS 2.0 feed. You can skip to the end and leave a response. Pinging is currently not allowed.